Former Northwestern coach Jarod Schroeder stands on the pool deck. Schroeder resigned from the position Friday. 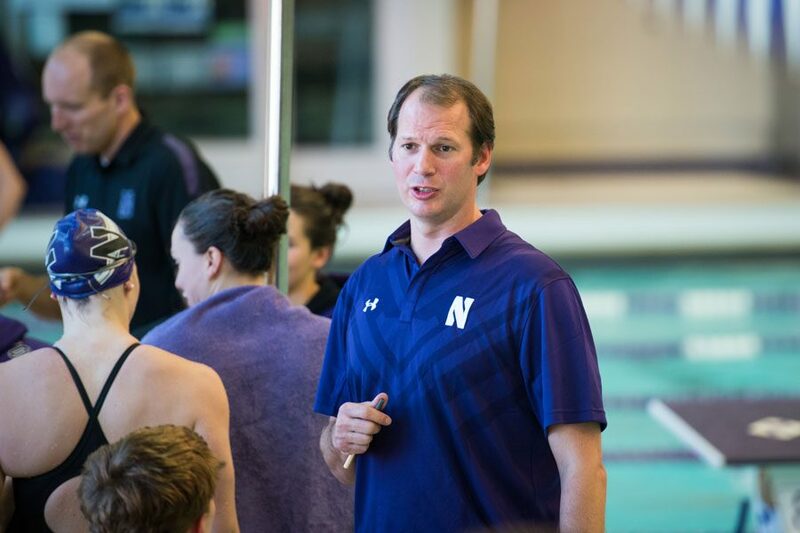 Former Northwestern men’s swimming coach Jarod Schroeder resigned from the position Friday evening, according to a news release. Schroeder, a Northern Illinois graduate, had coached the Wildcats for the past nine seasons after a prior stint at Maryland. He informed the team of his decision Friday, an athletic department spokesman told The Daily. His departure from the program follows the recent resignation of former NU women’s swimming coach Abby Steketee on Wednesday. The Cats finished their 2017-18 season — which will go down as the last under Schroeder — with a 4-9 record and a 9th-place finish (out of 10 teams) in the Big Ten Championships in February. Junior Tyler Lis was Schroeder’s top performer at the championships, qualifying for the finals in three different events. Prior to becoming head coach in 2009, Schroeder had previously spent the 2008-09 season as an NU assistant coach, 2006 to 2008 at Maryland and 2000 to 2006 as a volunteer assistant for NU. Many universities operate their men’s and women’s swimming programs under a unified leadership or coaching hierarchy, and the two recent resignations open the opportunity for NU to implement a similar structure for next season if desired.